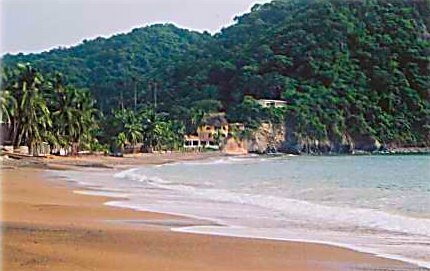 Located in its own little area at the Southern end of the beach in La Manzanilla spectacular sunset and ocean views is Casa Maguey. Casa Maguey is a compound consisting of a main home and 3 Casitas which are very popular income producing vacation rentals. There are private ocean view patios, beautiful gardens and trees, 3-car garage, its own well and is completely fenced for security. Please see the links below for more information.